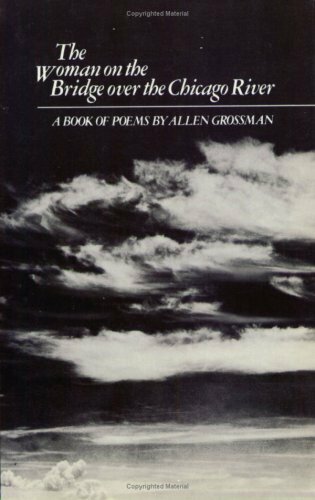 When I picked up Allen Grossman’s The Woman on the Bridge over the Chicago River and began to read, I felt like Grossman had turned out the lights and I was going through a series of dreams and nightmares. I tried several times to come out of the dream-nightmare-state but the poetry was too riveting, too compelling, even when the scenes became dark—so I remained lucid with them until culmination. I was happy I did. It’s a superb book even if a demanding read. Grossman’s philosophy of poetry seems different from anyone I have ever read. The narrative thread is not easy to follow, like your own dreams or nightmares where scenes change rapidly without reason. Not that this disqualifies the poetry from accessibility, for it doesn’t. 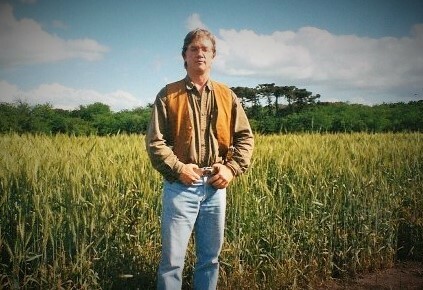 The poems are works of a genius yet generous mind. The reader just has to put him or herself in a different reality—one where details move emotion and the whole is synthesized only through contemplation, like the process of interpreting a dream upon wakening. “The Department” is one of the nightmare poems where the narrator is driving a motor vehicle with the reader in the passenger seat through the land of the dead. The scenery changes rapidly with each non-living person met. In the end of the poem, Boime, the All-seer and self-appointed head philosopher character, demands the narrator to get off the road—meaning it is not time for the narrator to die yet. But this is also meant to criticize the writer as narrator—in other words, Grossman’s method and thought of how poetry should be arrived at—the vehicle the metaphorical technique, the road the metaphorical path to result. That is a Grossman self-effacing, or self-doubting, statement well said. There are numerous poems of outstanding quality in this collection, too many to mention, but I particularly liked “Pat’s Poem,” a love poem, and “Alcestis,” a sonnet sequence written as a hymn. This entry was posted in book reviews, literary news, poetry news, Uncategorized and tagged book review, poetry, poetry book review, stephen page, The Woman on the Bridge over the Chicago River by Allen Grossman, w.w. norton. Bookmark the permalink.